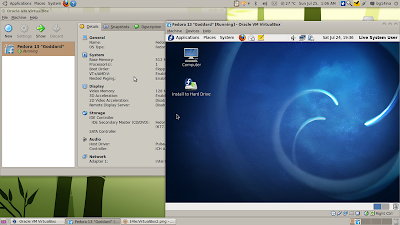 VirtualBox is a proprietary virtualization software package currently being developed by Oracle Corporation. Using VirtualBox, you will be able to install additional guest operating systems, each known as a Guest OS, each with its own virtual environment. Add public key first. For that, copy-paste the following command in Terminal. Now you need to add repositories depending on the version of Ubuntu you use. Firstly, open sources.list file in Gedit text editor. Done. Now, depending on the version of Ubuntu you use, copy-paste the following line towards the end of sources.list file you just opened. Done. Now save and exit text editor. You have added the PPA and the key to authenticate it. Now, simply do the following in Terminal to install VirtualBox 3.2.10 in Ubuntu Maverick, Lucid. Done. If you using other distros, visit VirtualBox Download Page. Please note that, I have tried this only on Ubuntu Maverick and I am not sure if you will be able to get the latest VirtualBox 3.2.10 in Ubuntu Lucid also. 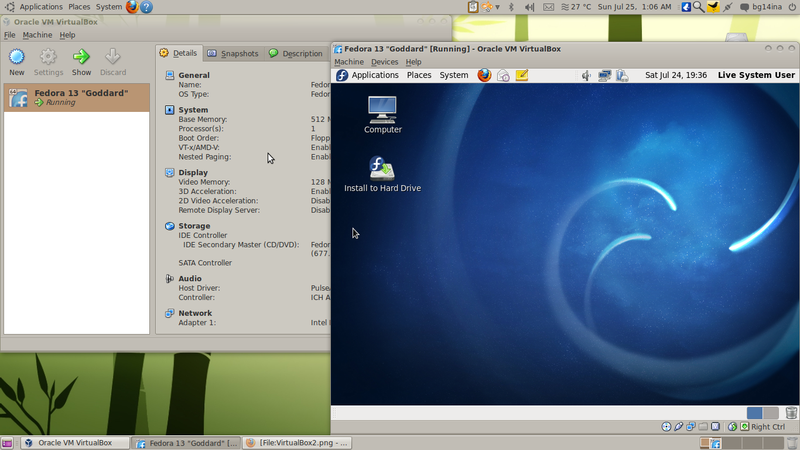 Between, there is also a open source edition of VirtualBox. Search for virtualbox-ose in Software Center.